Kool Badges offer wholesale badges & Bulk pricing to many individuals & retailers throughout the UK and Internationally. 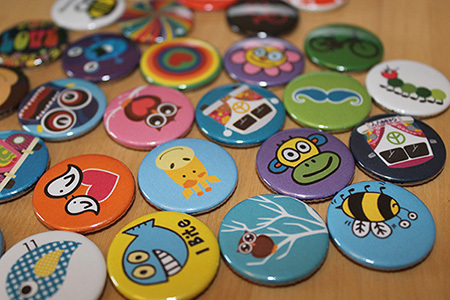 If you need Wholesale Button Badges get in touch. To qualify you must be ordering at least 250 badges & these badges can't all be unique (for example you would order 250 badges with at least 20 badges per chosen design). Depending on the number of badges required we can offer discounts (up to 60% off our RRP). Please drop us an email with your requirements & we will be happy to give you a quote and if applicable a discount code to use when placing your order.